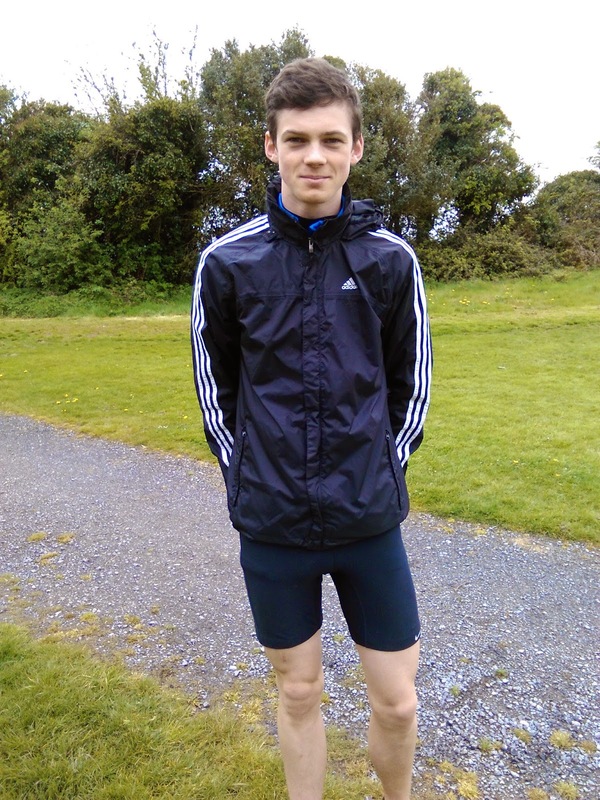 Conor Duncan maintained his winning streak and broke 2 mins over 800m for the first time today with another superb run at the milers club open competition in Greystones. Passing through 400m in a swift 56 sec he gradually pulled away from the field to win by over 20m in 1 min 57.82 sec - a new PB by over 5 seconds. Ronnie Quigleys long standing 800m club record could be under threat before the season is out. Alex Hunter was also in action today in the Ballymote 5 K over in Sligo. Conditions were again tough but Alex finished 6th overall, after a great battle with senior womens international Mary Cullen, in a new PB of 16 min 15 sec. Alex's dad, Derek finished 17th in 17 mins 14 sec while his brother Ross also recorded an impressive time of 18 min 51 sec in the same race. The lads obviously get their talent from their mother Ann (sorry Derek) as the glory hunters are some hot to trot family team.